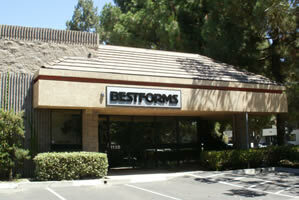 Founded in 1985, Bestforms immediately became a major “to the trade only” manufacturer in the business forms market place producing traditional forms, custom and specialty products. Our success is based upon our outstanding reputation for superior service and responsive development to meet the demands and ever changing needs of the industry. Our success continues through innovation, resourcefulness and diligence in responding to our customers requirements with pioneering solutions to even the most difficult printing situations. Each of our highly knowledgeable customer service staff members are experienced in identifying the best-fit for your specific project, budget and time frame. You can count on personal, responsive service and consistent high quality product in a timely manner.